Oakland towing service is something we offer to all bay area residents. Our tow trucks provide towing service all over the peninsula, and Oakland is one of those places. 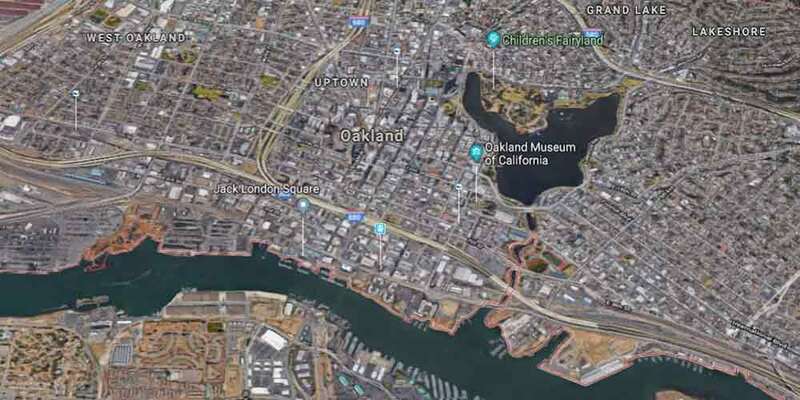 Our main hub is San Francisco, but Oakland is right next door. Once we receive a request for a vehicle to be towed, we can have our best tow truck arrive in no time. Our tow company provides many types of tow trucks, therefore we can provide the correct truck upon your tow service request. Some of the types of towing services we offer are light duty towing, medium duty towing, heavy duty towing, flatbed towing, private property towing, and many roadside assistance services. Our towing company often gets calls for Oakland roadside assistance services. These service calls might include a dead battery that needs to be replaced or it could be a jump start for a dead battery. Others might include a flat tire replacement, fuel delivery for an empty tank, or many other services. If you have an issue with your car give us a call to inquire if we can help. If we can’t figure out a way to get your vehicle started, our tow truck operators will certainly tow you to safety. San Francisco Bay Area Towing guarantees our rates are some of the most affordable in San Francisco region. The majority of the time our tow company has the best price. Feel free to shop around and check other prices. If you find that our Oakland towing service is not the cheapest, call us and we will beat any price. Our operators take great pride in their safety measures and operational abilities. Therefore, reach out to us for any of your towing or roadside assistance needs. Our operators are standing by.